1 white Calvus, around 4"
2 beautiful male F1 Placidochromis Phenochilua Tanzania around 6-7", starting to get a good amount of spots on them. Aside from the Phenos ($50 each) I really don't know what to ask as far as prices so I'll accept anything that sounds fair. 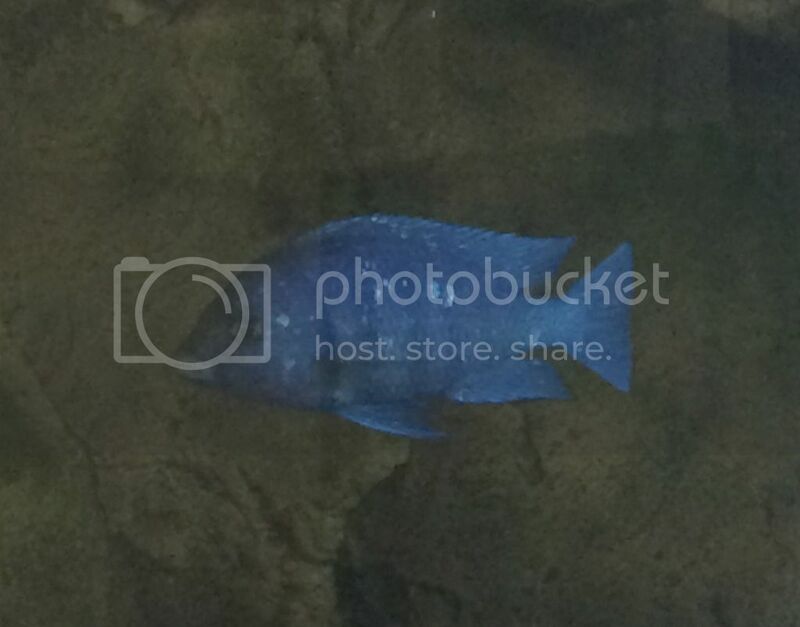 One of the male Fronts has damage to his tail from when he was a juvenile, otherwise a nice healthy fish, but I'll let him go for free with purchase. All of these fish except maybe the Calvus need at least 125 gallon tank, so please only respond if you have a large enough tank. 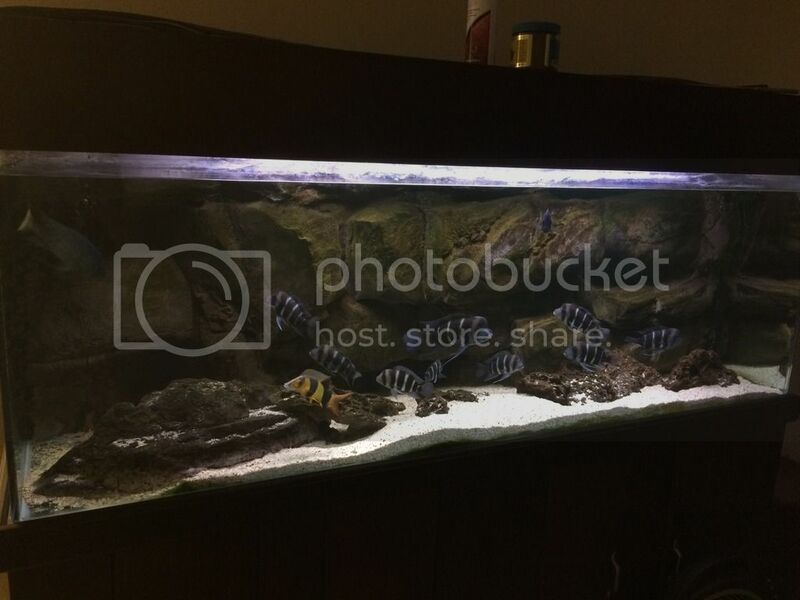 Note: I will also be selling my 180 gallon tank with 3D rock background once the fish are gone. Last edited by Lindsey23; 09-07-2018 at 05:58 PM. That is a nice setup. Thanks! We are going to miss it but we are ready to have our living room back. 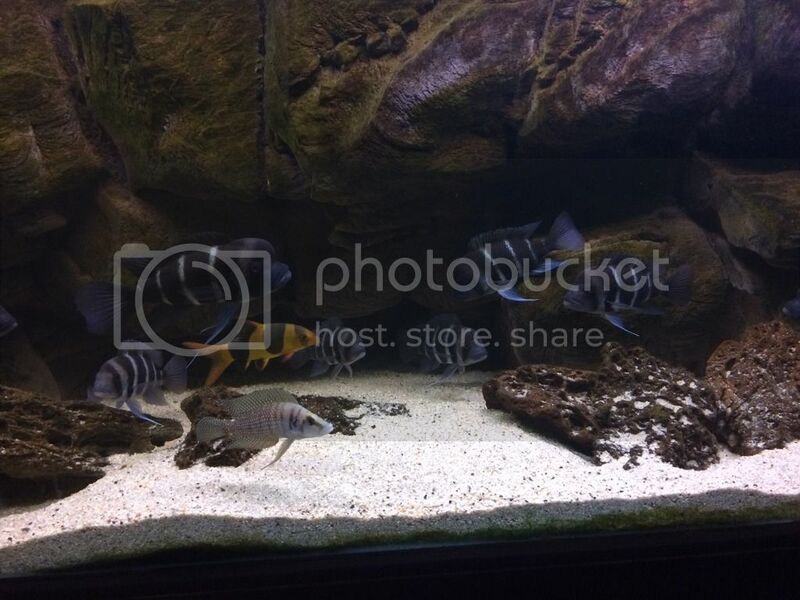 Clown loaches sold, all of the other fish are still available.